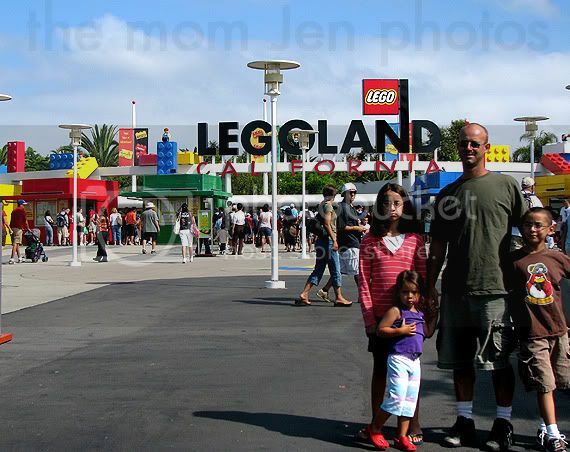 Musings of The Mom Jen: Legoland, Supah-Fun! 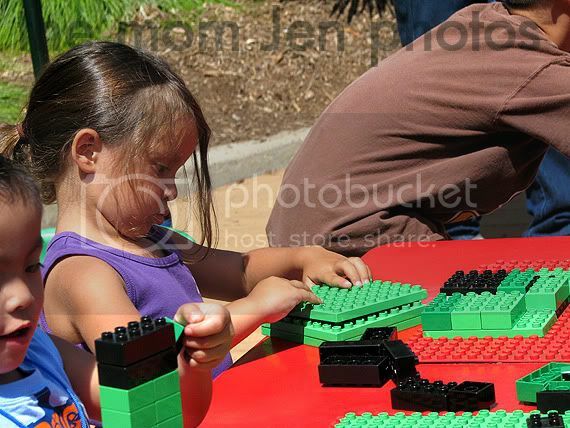 Home > Adventures, Family, summer, Things I Love > Legoland, Supah-Fun! Yes, they are actually excited, although DQ was skeptical about this "seems like it's for boys only" park. Guess who sponsors the park?! Lego-Engineer, my hubby's next job! 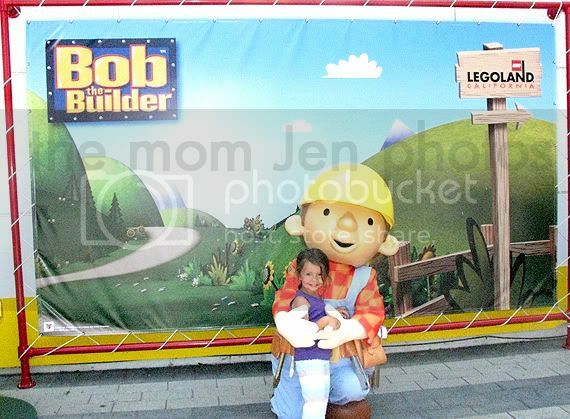 K never knew of Bob the Builder, but she didn't have to be 34" to meet him. 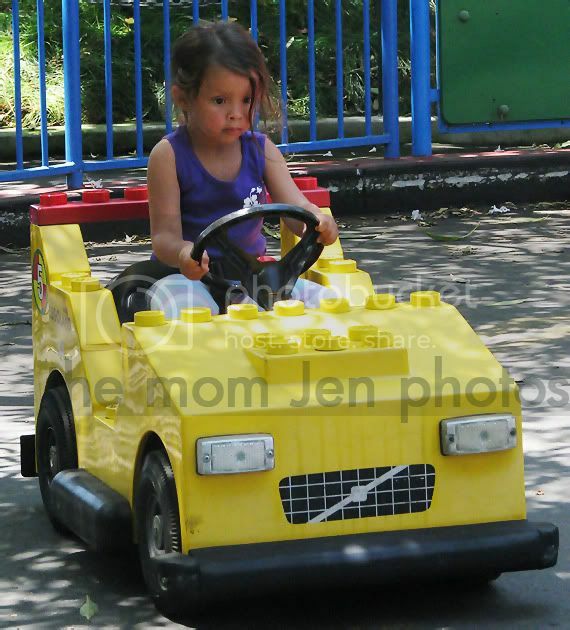 She is a rockin' driver! 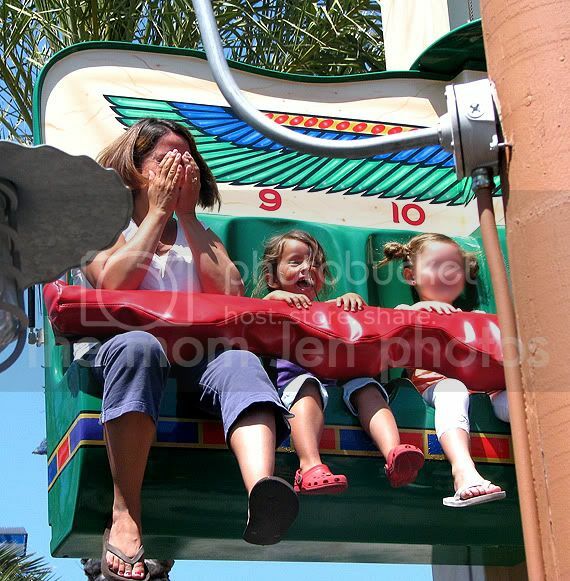 Mommy doesn't like those drop your stomach rides! I'll stick to taking the pics! Putting these stations in line is the smartest thing!! Someone's wheels are just turning for his next project! In the end, everyone had a BLAST! Even our almost 11 year old daughter! 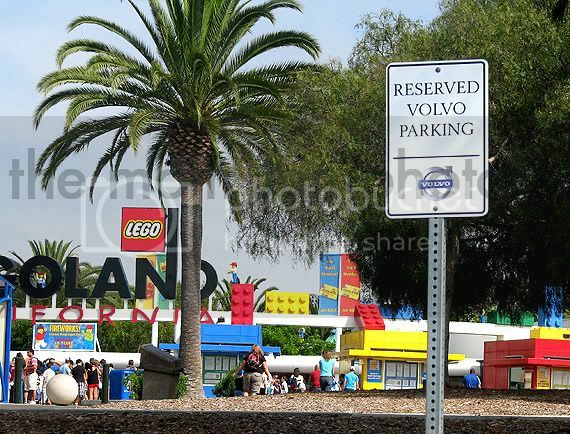 If you have never been to Legoland, pick up some brochures, pack up the car, and hit the road! 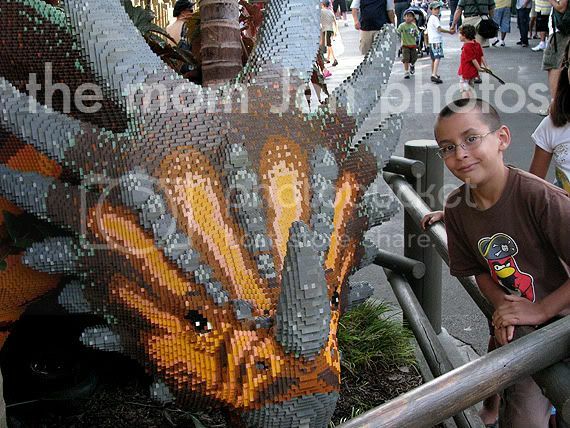 Even my 16yo would love hanging out at LegoLand. Looks like everyone had a great time. Oh my boys would just die and go to heaven here! They love the little bits of lego creations we saw the disney so a while part devoted to it...forget it! 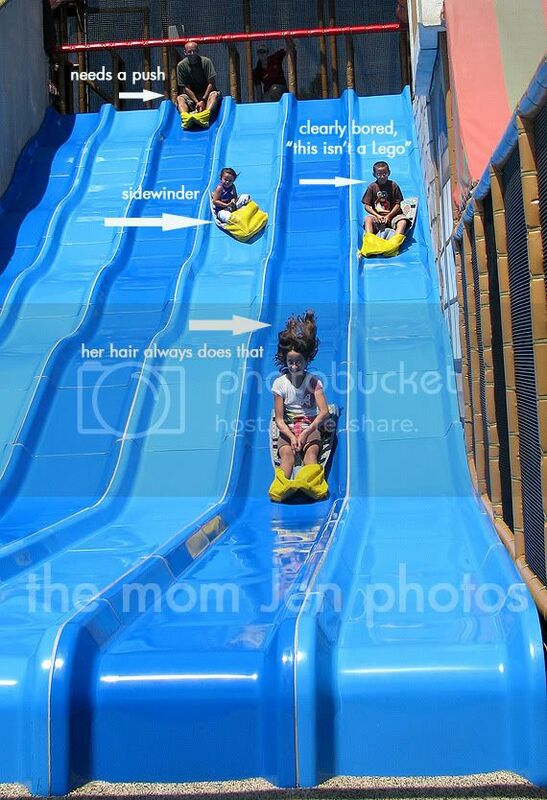 Great pictures, I hate the droppy things too, and the slide looks so much fun FROM THE GROUND! 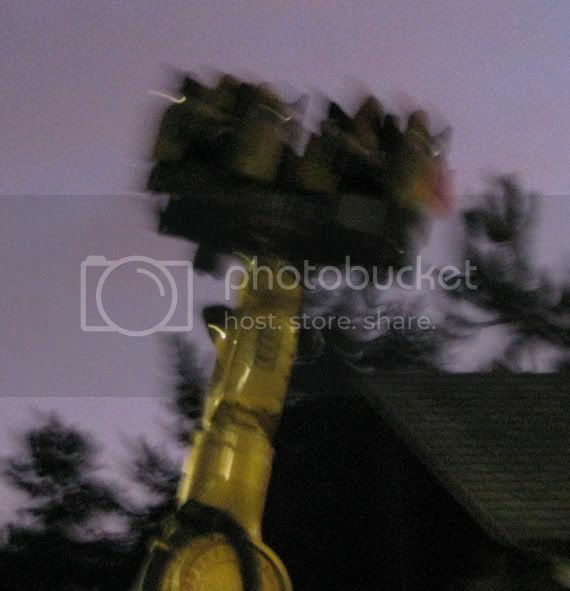 I took B when he was 5 and he LOVED it! May have to go there in March but might just go to the San Diego zoo since we are doing the Disney thing that trip. 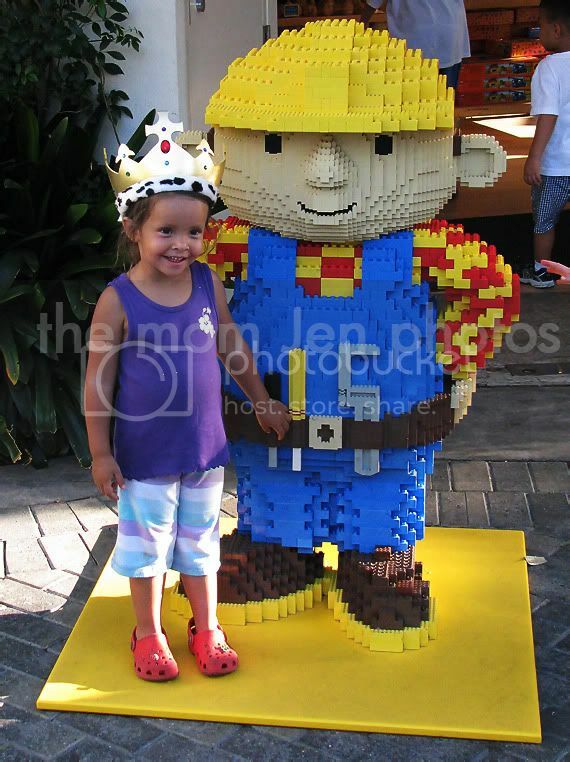 We were just in LegoLand a couple of weeks ago! We love that park. Great pictures! 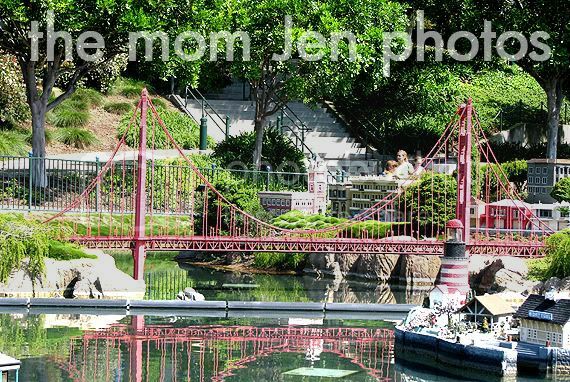 LegoLand looks like such a cool place. 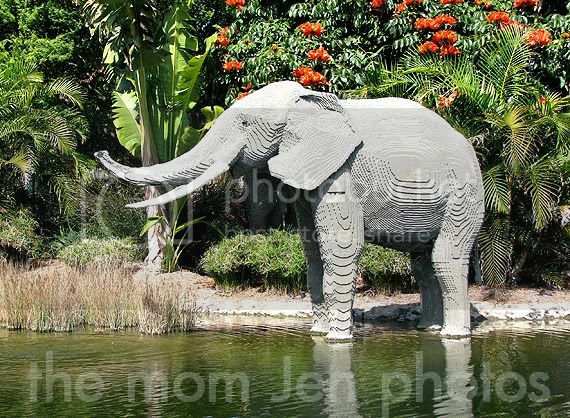 It is just amazing what can be built with legos. I am impressed! Wow! That looks like a really fun place to visit! 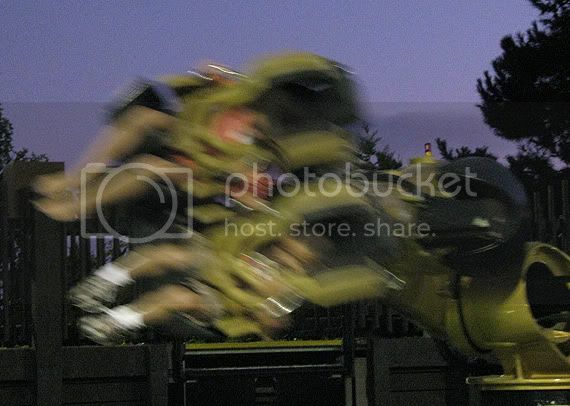 That looks SOOO fun!! We were clearly robbed by visiting the LegoLand in Chicago! I need to go to CA! We too the boys to Lego Land 2 years ago and they STILL carry around their drivers license!!! ;) That place made such a huge impression on them! They LOVED it!!! So fun! My boys would love that place. Too bad it's many states away... drat. 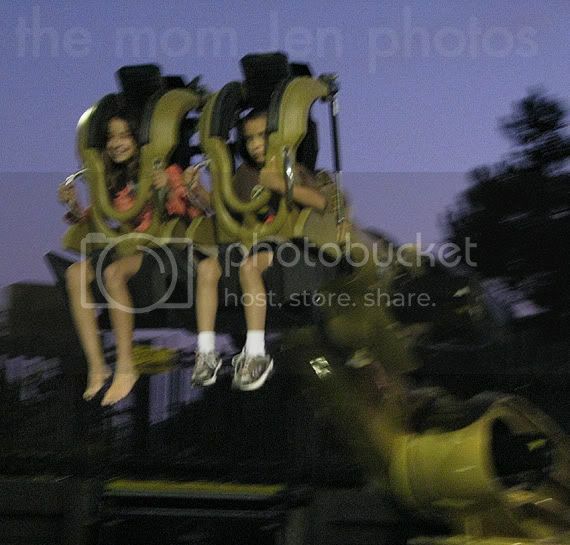 Glad even your almost 11 yr old had fun! 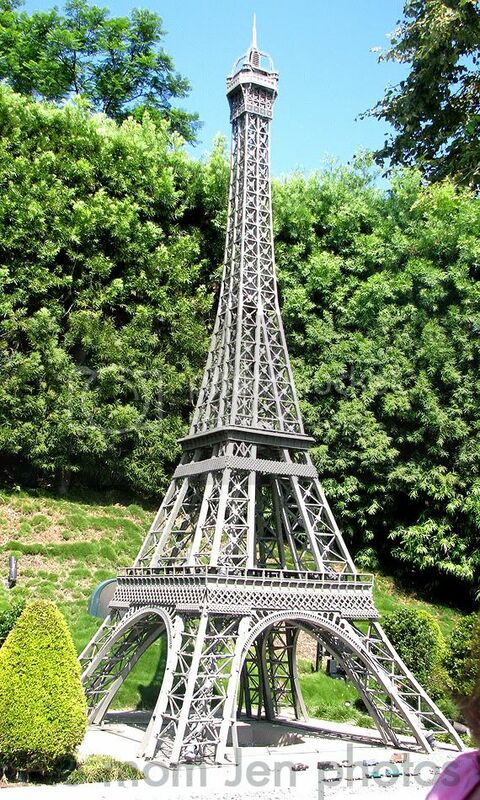 Legos rock ... :D Some of the stuff they do is amazing!